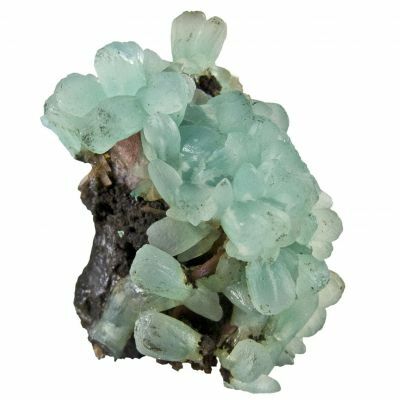 Eye-catching specimen of gemmy, superbly lustrous green Smithsonite from Tsumeb. 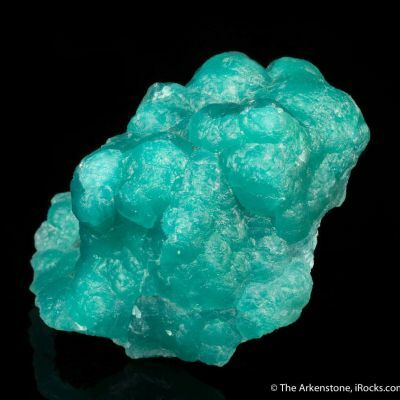 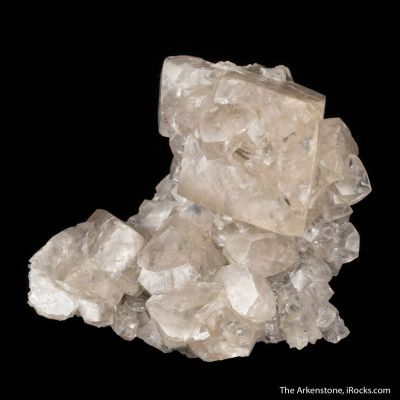 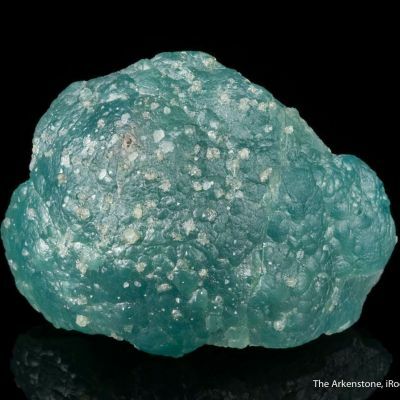 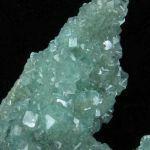 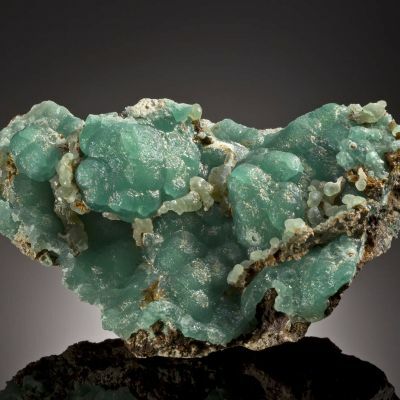 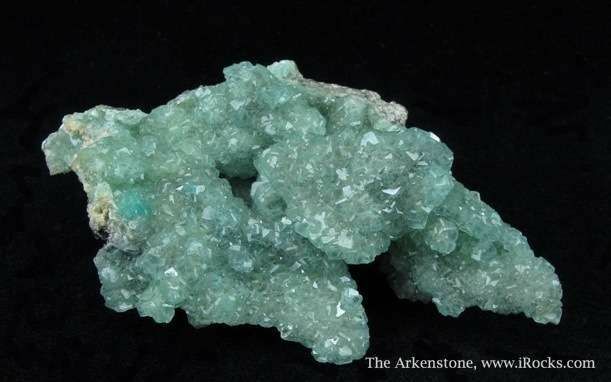 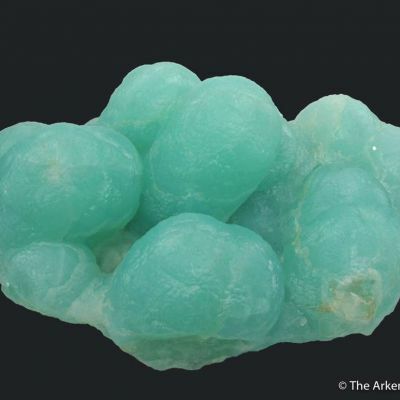 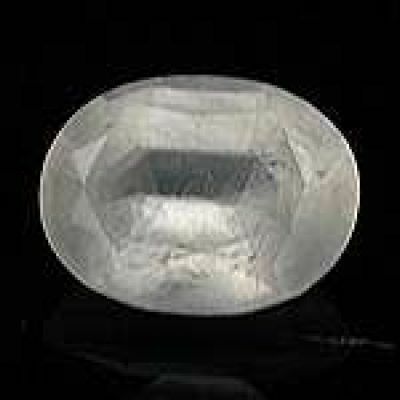 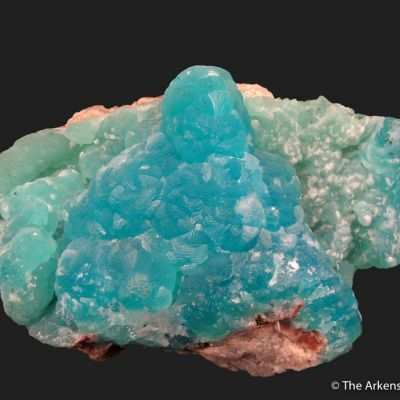 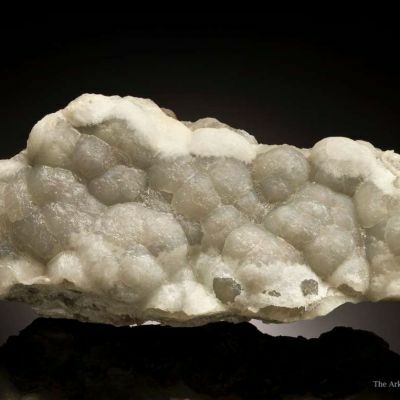 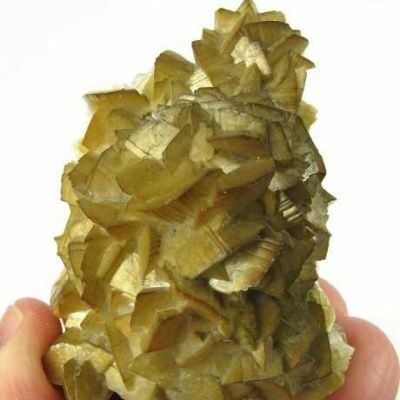 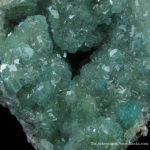 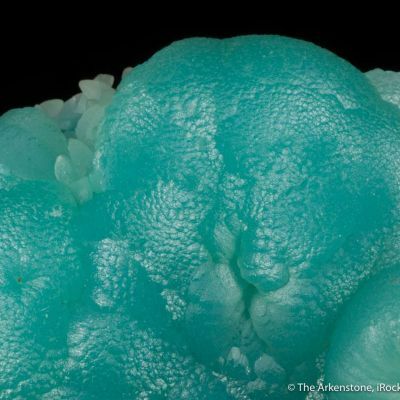 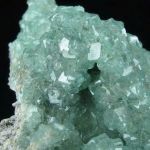 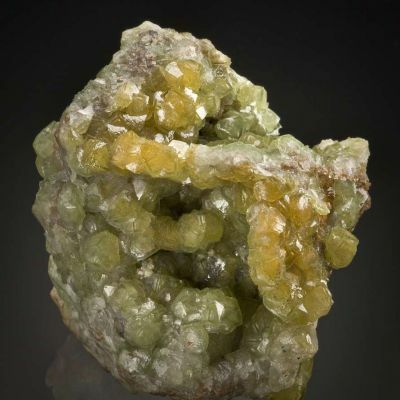 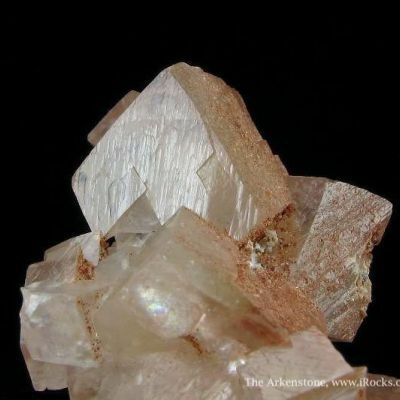 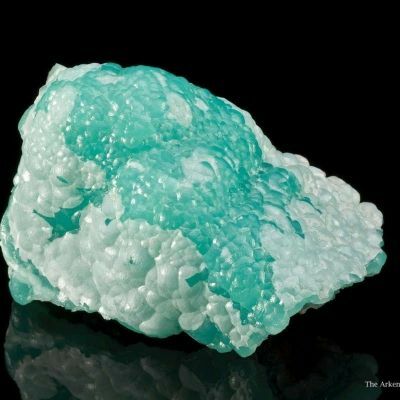 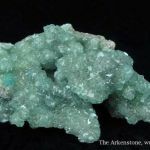 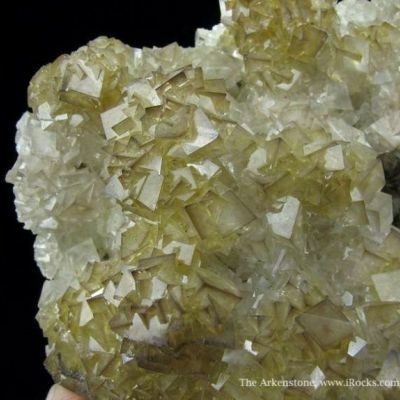 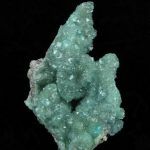 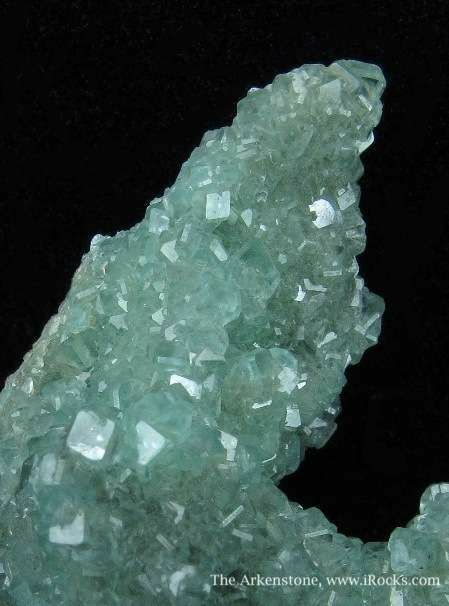 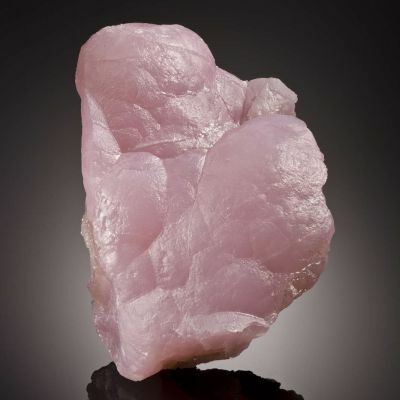 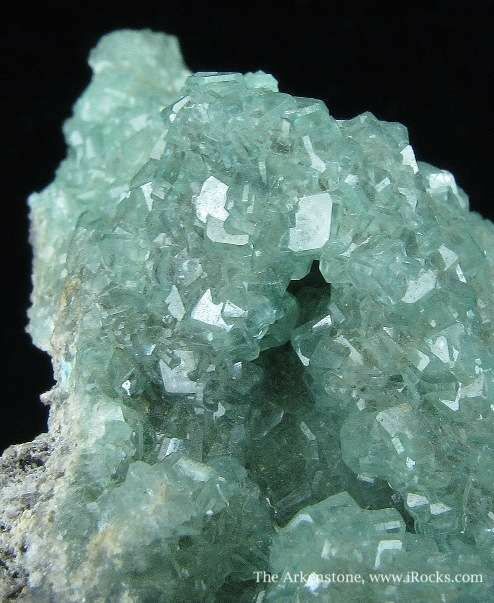 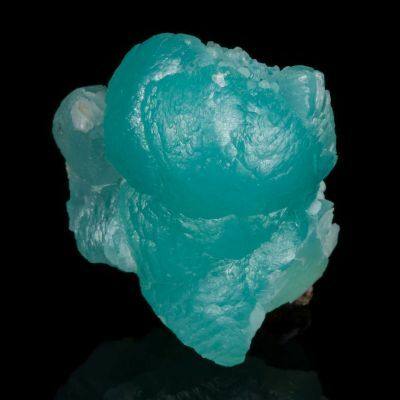 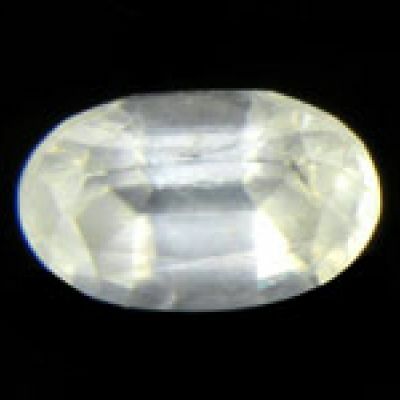 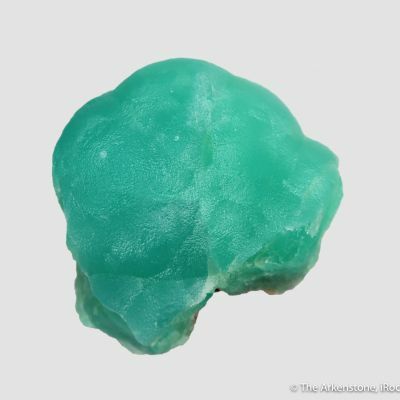 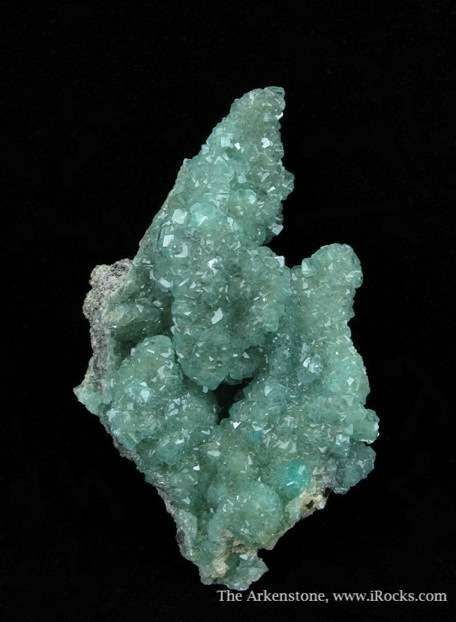 The Smithsonite crystals average about 2 cm on edge, and the piece has excellent dimensionality as the matrix undulates. 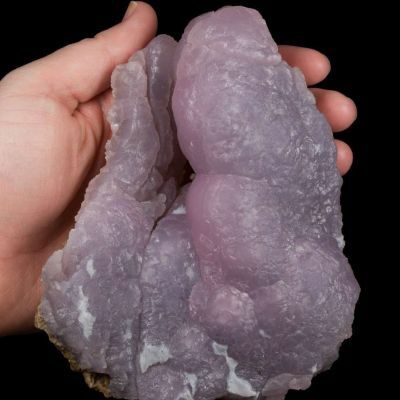 The piece is in excellent condition and the aesthetics are very good.